Time Travel could it work? Apparently some folks thinks they figured out how you could go back in time kill your dear old grampappy and everything would work out alright. It’s a highly convoluted thing and I’m not really sure I understand any of it. But that’s ok, because it’s quantum physics. 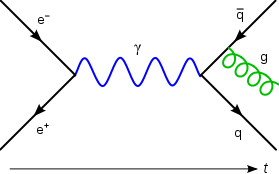 Quantum physics is one of the complicated types of physics we have discovered (discovered because it was always there, but never applied or understood). The general idea is that because of gravity, something called a “Closed Time-like Curve” can exist. From what I understand these represent a likelihood of something occurring in like and/or particles. These are the likely ways that light might split into multiple particles (only to recombine later in most cases) or be consumed and re-emitted by another particle. Effectively, it creates a probability distribution that says one of these options might happen. In the case about your granddad surviving, you have to have a 50% chance of survival for everything to work as expected. If the likelihood of an event falls below that, then it wouldn’t happen. Essentially, you would need to create a scenario where your grandfather would survive as often as he died. That sounds like you’d have to do some pretty elaborate planning to be sure he might survive or he might die. This would work because of that recombination effect that I mentioned earlier. When light moves from point A to B it doesn’t have to go directly there. Richard Feynman created his famous (for math people) diagrams that were able to explain how these particles moved and emitted particles. In some cases the light would move around and eventually recombine, but it would always end up at the point it was expected to based on the other attributes of that light. Because of these features, the physicist was able to do some experiments with light to actually create a “killing your own grand dad” situation. This allowed them to offer empirical evidence not just theoretical. That being said, it’s really unclear if anything at that size would ever work in actuality at sizes we can actually interact with on a daily basis. We can stop light and we can teleport light too. That doesn’t mean we’ll be having Scotty beaming us up soon though. Likely this discovery will find it’s way into quantum computing or cryptography as mentioned in the article. Unfortunately it’s not really practical and will probably be discredited in a few years like the whole faster than light fiasco from a few years ago.